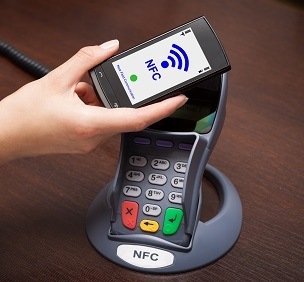 from physical to contactless payments as early as 2016. Five UK banks have announced their plans to integrate Zapp, a new mobile payment service due to launch in autumn 2014, into their existing apps for smartphones and tablets. Zapp will work in shops using near field communication (NFC) chips in mobile phones and tablets. Customers will simply tap their device on a till to make a payment. Unlike other payment services which take payments directly from customers’ bank accounts, Zapp will not require users to share their account information with third parties. Customers will simply need to download their bank's mobile app and they will be ready to Zapp. Card details will not be shared online and no information will be passed to retailers, which Zapp claims will ensure better payment security. HSBC, First Direct, Nationwide, Santander and Metro Bank have confirmed that they will be on board when Zapp launches in the autumn. The company aims to have half of all merchants equipped to take payments by launch. An official from PayPal UK asserted that the switch from physical to digital payment methods in the UK is well underway, and that as early as 2016 shoppers will no longer need cash or payment cards.